Pain & Gain is an odd beast of a film. It races forward at a feverish pace and often feels as outlandish as the real-life story at the centre of it. Like many of the muscular self-absorbed characters in the film, director Michael Bay takes such pleasure in his own stylistic abilities that he seems to ignore all sense of logic. Bay’s “look at what I just did” style is meant to elicit shock and awe, but inadvertently takes the attention away from the actual story and places it squarely on himself. The notion of Bay getting lost within his own ego is nothing new considering the big budget spectacles he has made in the past. However, unlike the Transformers franchise or even Armageddon, Bay is not dealing with expensive special effects, but real people. Not that Bay seems to care about this though. The characters in this film are despicable and are treated like caricatures rather than real individuals. Granted, the true story that inspired the film is truly bizarre in its own right; yet Bay seems to take extra joy in reveling in the buffoonery and the juvenile mentality that many of the characters embody. Watching Pain & Gain it is clear why Bay was drawn to this story. The main characters are walking examples of the pumped up masculinity that Bay has been embracing ever since the first Bad Boys film. The men in the film are hard bodies who like to call the shots, even when they have no clue what they are doing, and the women are objects to be used, fondled and passed around. Anyone who does not fit into these male and female archetypes are mercilessly ridiculed, this is especially true for women who are deemed overweight by Bay’s shallow standards. It is a film that perpetuates the skewed vision of perfection that is prevalent in many of Bay’s film. The main difference this time around is that Bay wants to both indulge and make fun of this trait. Unlike his other films, Pain & Gain is a dark satire about people’s desires to constantly chase the notion of the American dream. Based on true events that were chronicled in a series of Miami New Times articles, the film tells the tale of a group of bodybuilders whose extortion schemes go horribly wrong. At the centre of it all is Daniel Lugo (Mark Wahlberg), a personal trainer at the Sun Gym with aspirations of reaching his full potential in every aspect of life. Inspired by a motivational speaker (Ken Jeong), Lugo sets plans in motion to kidnap and extort money from one of his wealthy clients Victor Kershaw (Tony Shalhoub). In order to ensure his plan is a success, Daniel enlists the help of two fellow bodybuilders. The first is Adrian Doorbal (Anthony Mackie), a Sun Gym trainer whose frequent use of steroids has left him impotent. The last piece of the crew comes in the form of Paul Doyle (Dwayne Johnson), an ex-con, and recovering cocaine addict, who has turned to the power of religion. While the men show great dedication to their bodies, they do not have the combined brain power to put their energy into other things. The most notable being detailed planning. The men not only bumble their way through a series of crimes, some to horrific results, but they also clumsily takeover aspects of Kershaw’s life. Thinking that they are now on easy street, the men not only flaunt their newfound wealth, but set their sights on other possible targets. What the men do not anticipate though is the emergence of Ed Du Bois, III (Ed Harris), a retired private investigator who is hot on their trail. 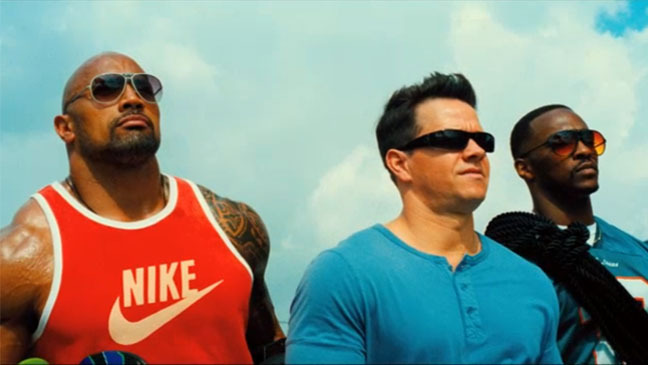 As far as dark comedies go, Pain & Gain is a mixed bagged. There are some genuinely funny and disturbing moments in the film. Mark Wahlberg and Dwayne Johnson best capture the kinetic tone of Bay’s brand of comedy. Though a number of Bay’s jokes fall flat, due to his insistence on aiming for juvenile at every corner, the film does keep the viewer engaged on a curious level if nothing else. You are always aware that nothing good can come out of the men’s actions and yet their level of stupidity is simply stunning. The problem with the film is that it feels like a slightly higher brow version of the equally frenetic film Crank. The violence, while graphic at times, is often presented in such a giddy way that you almost become desensitized to it. 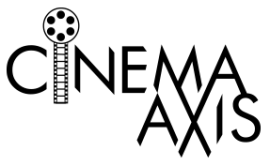 Bay rarely goes five minutes without adding some unnecessary stylistic flourish to the film. For example, he gives each character, even minor ones like a European stripper (Bar Paly), a chance to be the narrator so they can share their tale of chasing after the American dream. While amusing at first, this trick gets old pretty fast especially since we rarely get to know the characters on any real level. Even grounded characters like Harris’ Du Bois, the most “real” individual in the film, and Rebel Wilson’s Robin Peck are introduced in ways in which you only get a brief glimpse off their true nature. It also does not help that none of the characters are particularly likeable, or all that interesting, in the first place. Kershaw is presented as a despicable character, but he never does anything to warrant what he endures. Similarly, we follow Lugo, Doorbal and Doyle as they descend further down the dark rabbit hole knowing full well that they are in the wrong at all times. As a result one cannot help but watch Pain & Gain from a distance without ever truly investing in anything that occurs on screen. Bay’s brand of satire aims to point out the absurdity of chasing the misguided notions of American wealth and happiness. However, it is presented in a way that seems more intent on laughing at the men than it is concerned with actually conveying a message. It is this lack of focus that ultimately hinders Pain & Gain. For a film that seems to have a lot to say, Pain & Gain often gets muddled within the medium in which it conveys its message. Very odd film, but a surprisingly entertaining one. That’s if you can get past the ugly, gritty details of the real-life murders and such. Good review Courtney. I would love to see a documentary version of this story. I could not help thinking, while watching this film, that The Imposter handled the “so crazy but it is true” type of tale so much better.